Genuine OEM Canon Drum Unit, Color 59,000 page yield. 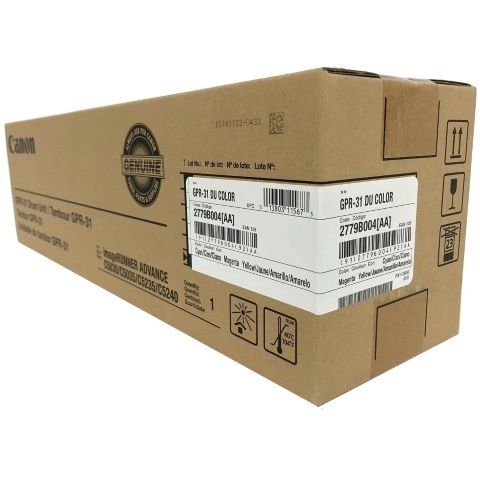 Canon part number: 2779B004AA, 2779B004, GPR-31. Drum Unit compatible with Canon imageRUNNER ADVANCE C5030, C5035, C5235, C5235A, C5240, C5240A.